SKU: n/a. Category: BRITISH BEEF GOURMET PIES. With your beef pie, you only get 100% British Beef. The beef is sourced in Gloucestershire by Ben Creese’s famous Family Butchers. No machines here, this means Prime Chunk, hand-cut in every pie by our chef so only the best beef reaches your plate – you can really taste the difference. Chuck comes from the shoulder and neck of cattle asthis is what yields some of the most flavoursome meat. 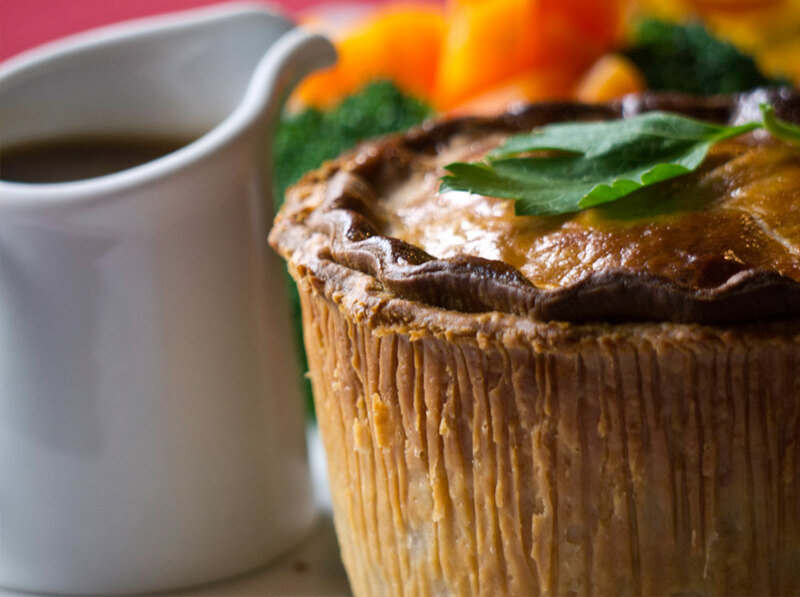 Your Gourmet pies are then cooked slowly for up to 8 hours, marinating in Stout & Ale along with a secret blend of herbs & spices and served in crisp Shortcrust Pastry. © 2019 Mad About Pies. All Rights Reserved.